Life as a freelancer can be pretty great; once you’ve cracked how to keep new projects and clients coming through your virtual door, you have the freedom to work as and when you want as a digital nomad. We’re naturally self-sufficient and adventurous; otherwise we’d still be on the 9-5 circuit. How about taking things a step further? If you work remotely, communicate with your clients online and over the phone why not do a spot of travelling and treat yourself to a change of scene? 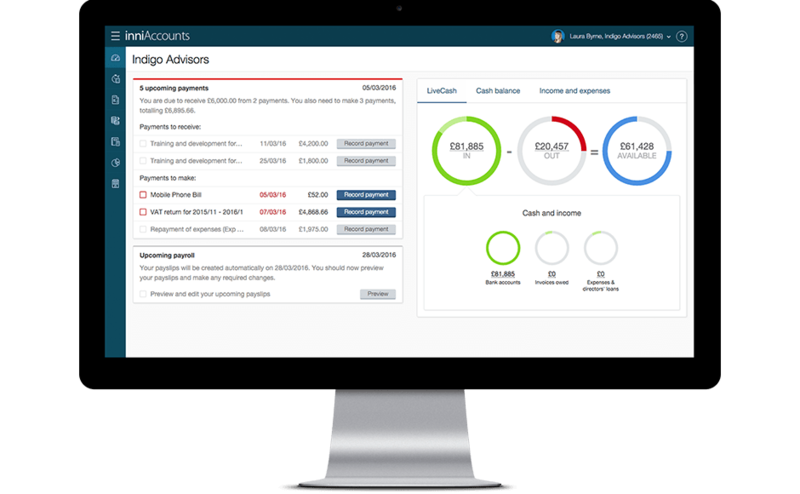 As advocates of the digital nomad and location-independent lifestyle (what else would you expect from a market-leading online accountancy firm? ), we’re really excited by this topic so we’ve produced a series of articles to whet your appetite. In the first of the series, we’re asking if you’re ready to become a digital nomad. If you’ve ever thought that you’d be able to take a month off, but that’s not quite long enough to really explore your dream destination, why not combine work and travel to extend your trip? Becoming a digital nomad can be your ticket to a life of work and play blended into one! There are plenty of freelancers that make the nomad lifestyle work for them; some stick to three month stints here and there, others embrace a truly nomadic existence. Johannes Volkner from www.webworktravel.com and Cody McKibben from www.thrillingheroics.com are probably the most notable advocates and gurus within the digital nomad community. Their websites are inspirational and crammed with hints, tips and advice on how to make the lifestyle work for you. Escape the weather. Some like it hot, some like the snow; why settle for the British weather 12 months of the year? Escape your least-liked season to warmer shores or where there’s ski-quality snow. A change is better than a rest. There’s nothing better than a change of scene to perk you up and get the creative juices flowing. Your workflow doesn’t allow for holidays but you don’t need to work full time. If you only need to work part-time, why not soak up the atmosphere somewhere exotic? You are thinking of moving abroad but you’re not sure. Why not immerse yourself in the culture and working practices for three months to see how you like the lifestyle before you commit to a longer-term move? You want to expand your horizons. If learning a language in a stuffy classroom sounds dull, why not spend three months living, working and learning the lingo in your favourite destination? Thousands of freelancers choose to pack light and work abroad for extended periods each year. There’s never been a better time to expand your horizons as global technology means we can stay connected, trade and store data like never before. By doing a little research and planning you can save yourself money, find your work-life balance and some of the best times of your life. We’ve pulled together a few ideas to get you started as this is just the first part in a series of articles. The list is to get you thinking about what you want to do and where you want to go. The first step to planning your first great escape! 1. Think about what you want out of the experience. Whether you want to save money by working from somewhere with a lower cost of living, you want a better work-life balance or you just want a change of scenery; it’s important to think about what will make you happy and productive. This helps you plan your trip successfully. It can be easy to get caught up in the excitement and end up spending most of your time trying to get online, or find a place to work effectively. It’s really important to ensure you pick a destination that you can work effectively from. This is covered in more detail in part two of this series. 3. Get set for the cultural, climate and location change. The physical aspects of travel remain pretty much the same – vaccinations, visas, health precautions, language and travel guides are all indispensable and are worth sorting out early in the planning stages so you’re ready to go when your work allows. 4. Start working smarter before you go. As freelancers and contractors, we’re used to working remotely, but many of us still rely heavily on meetings with clients to keep projects on track. By introducing online tools into your everyday life ( and more importantly to your client’s life), you can ensure there’s a seamless transition when your location changes. We’ve noted the top productivity and connectivity tools in part two of this series. 5. Budget and start saving where you can. By crunching the numbers you can ensure that you have enough money to cover your cost of living plus enjoy your free time while you are there. You’ll need to ensure that you have enough cash coming in from project work which will allow you to plan how much time you need to spend working in your dream destination. Then you can plan the project work to ensure you meet deadlines whilst leaving plenty of time to explore and soak up the atmosphere. 6. Plan, plan and plan some more. Careful planning means less time sorting things out en route and when you get there. If you’re meticulous about sorting out your accommodation, workspace, goals, time management, budget and resources; you’ll spend more time being productive and living the dream when your touch down. Sort out your productivity apps, communication tools, backup storage, your travelling kit and contingency plans. Travelling light is the goal here; you need to ensure that your most valuable kit is with you at all times. Plan for the worst and you’ll be ready should you lose anything en route. 8. Take care of things at home. You may receive the majority of your company correspondence via email but you need to ensure that any postal correspondence is taken care of while you are away. The majority of HMRC communication, for example, is by post and needs to be dealt with appropriately. Think about what you need to do to secure your property and keep things ticking over while you are away. 9. Adjust your mind set. Being a digital nomad takes dedication, as sense of adventure and a lot of self-discipline. You’re not a tourist or backpacker and you need to ensure that you approach your extended stay in your dream destination with the right amount of discipline to get the job done so the money doesn’t run out. 10. Work hard and enjoy the rewards! The best bit of all the planning and organising is that you can live the dream. By sticking to your work plans, you’ll be able to spend three months in your dream destination exploring, relaxing, playing and building memories to last a lifetime. This is just the start. Hopefully you’re already starting to get some ideas about where you want to go and what you want to do. In the part two of the series “11 steps to location-independent heaven” we’ll get down to business with more planning and research tools. In the meantime, get inspired! Follow us on Twitter @inniaccounts and on LinkedIn to be the first to read new articles in this series.